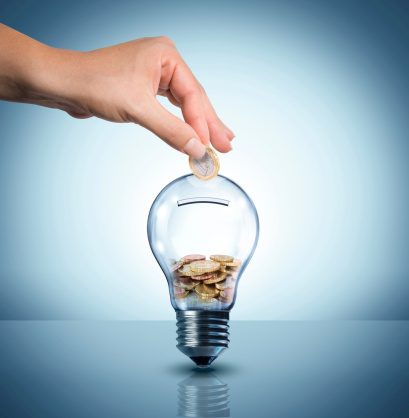 Do you wish you could save money on your household electricity bill? Major appliances like washers, dryers, dishwashers, fridges, freezers, and ovens account for about 37% of the electricity used in your home. Believe it or not, there are many ways to save money on your hydro or energy bill, even if you’re renting! Even small savings with these big appliances will add up. 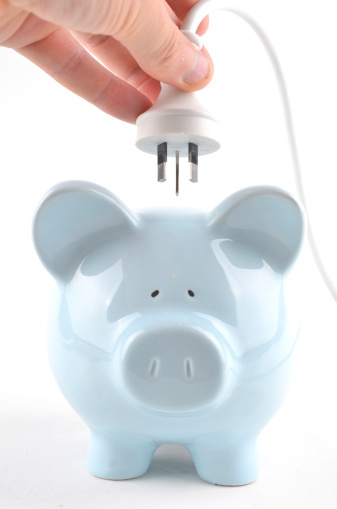 Electricity savings tips are everywhere, but they’re always the same old, same old. We’re not going to tell you to throw on a sweater or turn off your lights... you know that stuff already. In this 5 part series with tips for saving electricity and money, we’re going to give you real, usable ways to save energy. That means more money in your pocket each month! Wash your clothes in cold water as often as you can. Almost 90% of the energy your washing machine uses is used for heating the water. After drying your clothes, immediately clean the lint trap every time to reduce energy use by 30%. Air-dry as often as possible. This not only make your clothes last longer, but it makes your money go farther! Does your dishwasher have an energy-saving cycle? Use it. Try the air-dry no-heat feature, or just open the door for air drying after the final rinse cycle. Reduce the number of times you use your dishwasher by making sure it’s full when you turn it on. Did you learn to pre-rinse your dishes before loading them? You’re heating water, using electricity, and adding to your heating bill. Most dishwashers can clean without pre-rinsing. Keep your freezer full to reduce the amount of electricity you use, but for your fridge, don’t overfill the it because it blocks air circulation and makes your refrigerator work harder. Do you really need that old fridge in the basement? It’s likely costing you $150-$250 or more per year in electricity to keep it on! Seals on your fridge and freezer can wear out over time. Try closing a five-dollar bill in the door; if it stays, so can the seal. If you can pull it out easily, it’s time to lock in the savings with a replacement seal. Your oven is big; a toaster oven is small. Use a toaster oven to cook food whenever you can instead of your oven and you’ll cut your electricity consumption in half. Peek through the window - 20% of the heat is lost every time you open the oven door. When you do use your oven, cook a large portion. Not only will it give you left overs so that you can save money on eating out, it takes the same amount of electricity as cooking a smaller portion. You can easily save money and energy on your household electricity bill by putting these tips into action. They are not hard to do, and don’t cost you any more than a couple of bucks, if anything at all. Share these tips with your partner, children and friends to help save money, electricity, and Mother Earth! Putting a dry bath towel into the dryer with wet clothes can cut drying time by up to one third. Here is a way to save money on your electricity bill. Leave at least two inches of clearance around the refrigerator for air circulation and heat dispersal. If the heat the fridge can't disperse easily, it will cause the fridge to work harder and cost you money. It's fabulous that saving electricity saves a lot of money.